Seeing MAJ75's preDaytona got me interested in them. Not wanting to be a copycat I looked for something a bit different. I contacted Marvelous Replica and M didn't really know much about them but he figured out a way to get this and evaluate it. Rep factories frown on returns, so he improvised. Anyway, no problems with quality it is a beautiful piece. In some ways, reference 6234 is to the Daytona what the Porsche 356 is to the 911. Behind its elegant and conservative chassis, it announces the arrival of a sports icon. Quality 6234s are extremely rare and highly sought-after. According to the latest estimates, Rolex made approximately 2,000 models during the six-year production span, which was between 1955 and 196. Most of these were in stainless steel Oyster cases, with either silver or black dials. 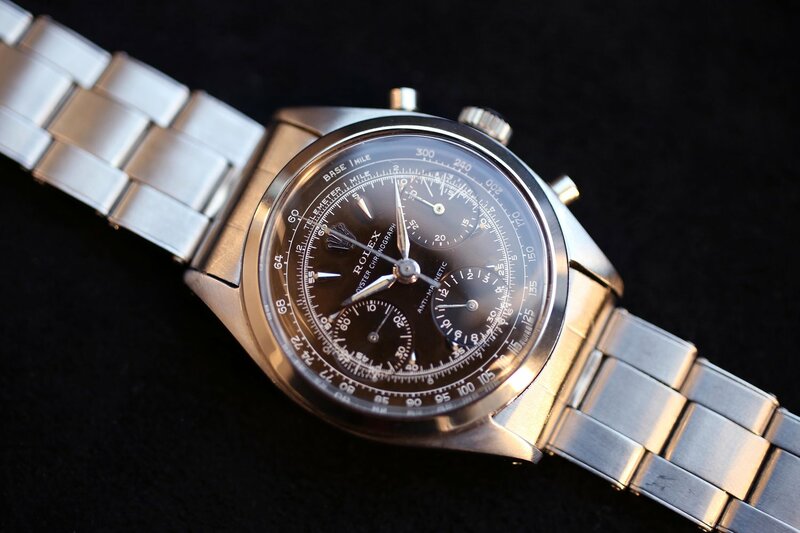 This particular model – a U.S. market import – was made in 1960, approximately one year before Rolex ceased producing the reference entirely and began making the reference 6238, the Daytona's immediate predecessor. This makes the 6234 the penultimate “Pre-Daytona,” but in reality it’s actually "pre-everything." Very nicely done I think. The real diff is that the gen is 36mm and this is about 39.5mm. That is an error we can all like. And your odds of ever seeing a real one are nonexistent. I like it.